I recently wrote here on the forum a story about the cheapest new cars you can find now on the US market, all because I'm with the idea of buying one. As I mentioned in the article, what I really wanted was an SUV, but I realized they are too expensive or are not in my budget, so very frustrated by the high prices, I found out which are the cheapest sedans and wrote about them. But now, without giving up yet to my original idea, I decided to write about the cheapest SUVs for sale you can find today in the American market and have come to the conclusion that my goal of buying a new SUV 2012 with zero miles, is not as unreachable as I thought, the truth is that there are some very affordable. So I'll write a bit about them and tell you about the prices from the lowest one, in case someone else is also asking about what are the most economical SUVs to buy. I hope this article help you to make a decision. The new version of this SUV model has some changes in their technologies and consumption that make it more efficient. According to the firm, the 2012 Patriot features an aggressive exterior design, which has added four new body colors and you can include the 17-inch all-terrain tires, fog lamps and tow hooks. Moreover, among its most important items of equipment include the Uconnect multimedia system with auxiliary input, radio and Sirius satellite navigator, power sunroof, and nine speakers. Also adds electric mirrors, air conditioning, cruise control and adjustable steering column in height. The Patriot has an interior with more soft-touch points for more comfort. As for safety, the 2012 Jeep Patriot adds electronic stability control, electronic roll mitigation, hill-start assist system, ABS y front and side airbags that that cover all the rows as the most relevant. The Jeep Patriot surprises for its implacable quality and its capacity for resistance and durability. 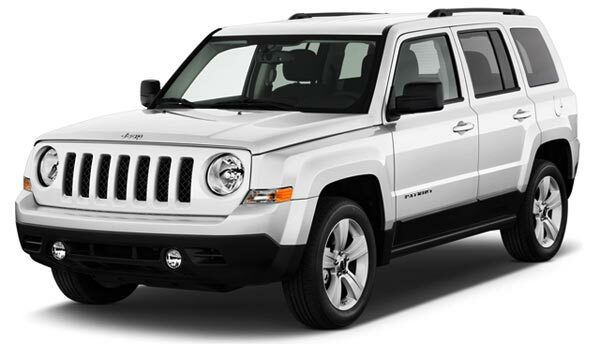 The 2012 Jeep Patriot is available in three versions named Sport, Latitude and Limited. Jeep is proud to claim that the Patriot is the 2012 cheapest SUV in America. It is speculated that this SUV is one of the best 2012 compact crossover of the new era of Kia Motors. The Sportage is sold in 3 different models: EX, SX, LX, covering all tastes and budgets of customers looking for power as well as those seeking luxury and comfort. The internal features of this impress SUV by simply opening the door. It has a control module in the steering wheel, power windows, electric mirrors, central locking system, illuminated glove box, cruise control, overhead console, folding seats and adjustable electronically. Besides other extras like satellite radio, auxiliary audio input, Bluetooth handsfree, USB for iPod, keyless ignition system, heated seats and a complete cruise control on the steering wheel which driver can comfortably control, all this features make the Kia Sportage 2012 a luxury SUV. As an SUV, the new Kia is listed for sale with all-wheel drive system (AWD), and also the basic version for those who have in mind that only will handle it on highways or within the city. 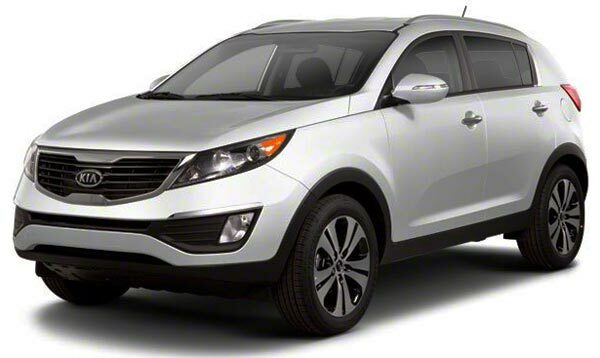 All these features included in its deluxe version, the 2012 KIA Sportage SX make this vehicle one of the most popular crossovers and the 2nd cheapest SUV on the US market (on its basic version) thanks to its great design and now for its engine four-cylinder with turbocharger. Imported directly from Japan, this SUV comes with a wide level of equipment: ABS braking system, stability control, traction control, 7 airbags (dual front, side, curtain and driver knee), opening doors with remote control, internal regulation of headlights, hill-start assist system, Isofix child safety seats, rear parking sensors, rear parking camera located in the rearview mirror, sunroof, leather upholstery with heated front seats, xenon headlamps, automatic headlights, rain sensor, cruise control, audio system with 6 CDs, USB and auxiliary input jack, leather-wrapped multifunction steering wheel, alloy wheels 17-inch and more. The Outlander Sport is the only Mitsubishi model that is rescuing the firm's sales in the U.S. since it is the only one getting good numbers every. The most relevant of the new model is that will be assembled in the United States from July and not only will supply the local market but also will be destined to other countries. It is noteworthy that the 2012 Mitsubishi Outlander Sport in relation to the conventional version is somewhat smaller, in fact this truck comes with seating for 5 people only, while the previous added two more seats, even though the overall performance remains better than ever, with greater reductions in fuel consumption, fewer emissions, even the aesthetic has received a positive change in the front. 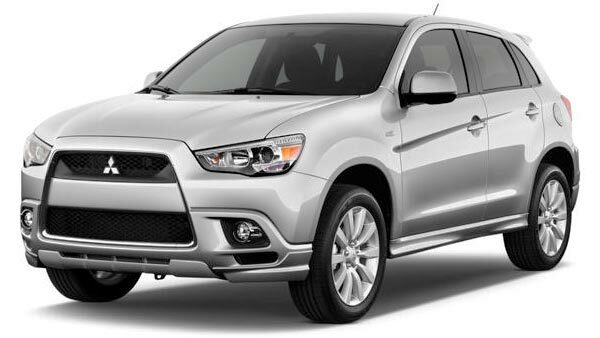 The Mitsubishi Outlander Sport is out 3rd cheapest 2012 SUV on this list. The new 2012 Dodge Journey comes with new features, better value and a price starting at $18,995, making it one of the most affordable midsize crossovers in America and the 4th on this list of the 2012 cheapest SUVs. For manufacturers, the Journey is like the Swiss Army knife of vehicles. It is priced similar to a compact car but includes the four-wheel drive of an SUV, the space of a van and the highest levels of versatility. Available in five versions: AVP, SE, SXT, Crew and R / T. Regardless of the model comes with automatic transmission, air conditioning, stability control, Brake Assist, traction control, ABS brakes, airbags, power windows and locks. As extra options you can include LED lights, fog lights, wheels of different sizes, better sound system, leather seats and steering wheel, navigation system controlled by voice, Bluetooth, Eco-.Route function and SIRIUS XM Satellite Radio. 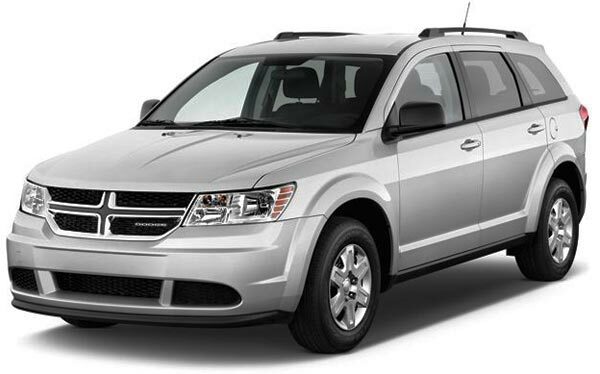 The design of the 2012 Dodge Journey is pretty clean and aggressive, while the interior looks much more refined, something not always found in the crossover segment, plus it is comfortable and very flexible. It has a vehicle information center with color display, 8.4-inch touch screen, keyless-entry remote, iPod dock and MP3, USB port, multifunction steering wheel and the seats ensure a good level of comfort for all occupants. 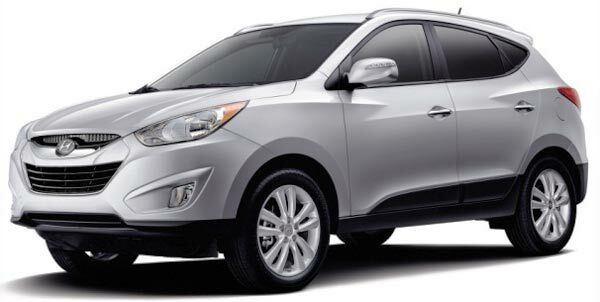 The 2012 Hyundai Tucson keeps its body design of last year. It has been consolidating itself as a worthy competitor in the field of SUVs. Although for some critics, the Tucson has been considered a poor imitation of the Honda CRV, the truth is that it has a modern exterior design as well as elements which add it lots of comfort. Additionally, it shows very aerodynamic traits, giving it a little bit of class and sportiness. These 2012 models have two different engine, a DOHC CVVT 16-Valve 2.0L 165 hp or a 2.4L 176 hp. The Tucson competes directly with the new Kia Sportage. The interior of the Hyundai Tucson is a very comfortable and enjoyable. Made of black aluminum color with details in and light blue, has all the aesthetic and technological elements to stand out in its segment. The following is a list of the most important elements of its equipment: radio with MP3, USB, iPod connection and controls in the steering wheel, opening remote controlled with alarm, computer on board, height and depth adjustable steering wheel, power folding mirrors, cruise control, power driver seat adjustable, rear view mirror with built-in camera and backup alarm, automatic climate control, leather upholstery, disc brakes on all four wheels, ABS with Electronic brake force distribution, traction control, control of stability, assistance in climbs and descents, front and rear airbags, side and curtain airbags and front and rear panoramic sunroof. And the list of the cheapest new SUVs of 2012 continues with the Jeep Compass, the Suzuki Grand Vitara, the Subaru Forest, the Kia Sorento, the Nissan Rogue, etc., I’ll talk about them later, if you want to see the complete list at Autoguide.com just check the link. I love the new Kia Sportage, it is pretty affordable, its design and interior looks amazing! Let see if the quality has been improved too. The old Kia Sportage's are crap! A sad thing about this SUVs and their low prices, is that they belong to the most basic model, if you see any of this vehicle in their full-equipped version (with 2 sunroofs, Navigation, etc) the price rise up to $10,000 more dollars. Just check the Kia Sportage which is beautiful, but compare the base model with the SX Premium Packaged and the difference is HUGE! Lucky those who can afford the full equipped version of any of these models. By the way, I wouldn't spend a penny in the Jeep Patriot, even if it is the cheapest SUV in the market, it is still UGLY. Is that true that Kia and Hyundai hired the car designers from Mercedes-Benz? Somebody told me that, I don't know if that's true, although just looking their new vehicles designs, it seems it is true.